Home shopping can be a fun adventure for some and a chore for others. At Jumia, it will definitely be fun and entertaining. With the widest brand variety available online, you will choose from well-established brands such as Samsung, Tefal, White Point, Kenwood, Sharp and many, many more! Jumia has a specific category for home and kitchen which has everything you may need such as large appliance, small appliances, dinning, home décor, furniture, bathing, and bedding. Browse through all our categories and buy what is suitable for you and find a wide range of prices! Delivery with Jumia is something you can rely on to get all appliances, furniture, or decor in the agreed upon time. You will need to look no further when buying your appliances. Find a wide range of brands for both large and small appliances. Fridges & Freezers and washing machines are the most essential items for your home and you have options to buy from Samsung, LG, Kiriazi, Sharp, or Toshiba just to a name a few. It is also very important to stay cool or warm during the different seasons and our online shop will offer you great options for air conditioners. Search for Carrier, ARION, Fresh, Unionaire or Panasonic. 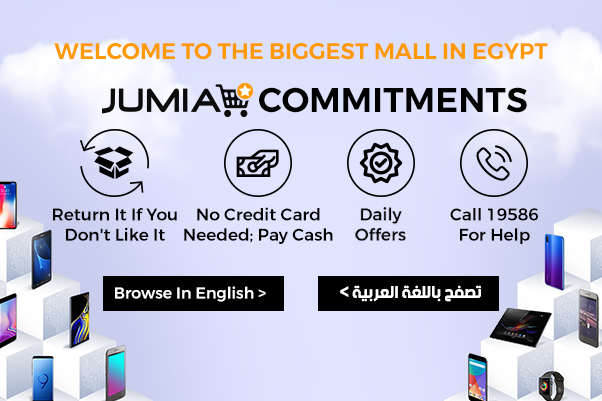 Enjoy cooking and other home chores with Jumia Egypt Small appliances! Small appliances are as important as large appliances and that is why we provide great brands for a wide price range. The kitchen is also one of the most important room in the house and everything you buy should be considered carefully. A kitchen should be supplied with mixing & blending appliances like blenders, hand and kitchen mixers, and food processors. Rice cookers, fryers, and microwaves are also essential appliances to every household. Anyone who is furnishing a new home will need to start with furniture & decor. Browse online for mattresses, bed sheets and bed covers. Not only that, but you can search for living room furniture including chairs, couches, and even bean bags.